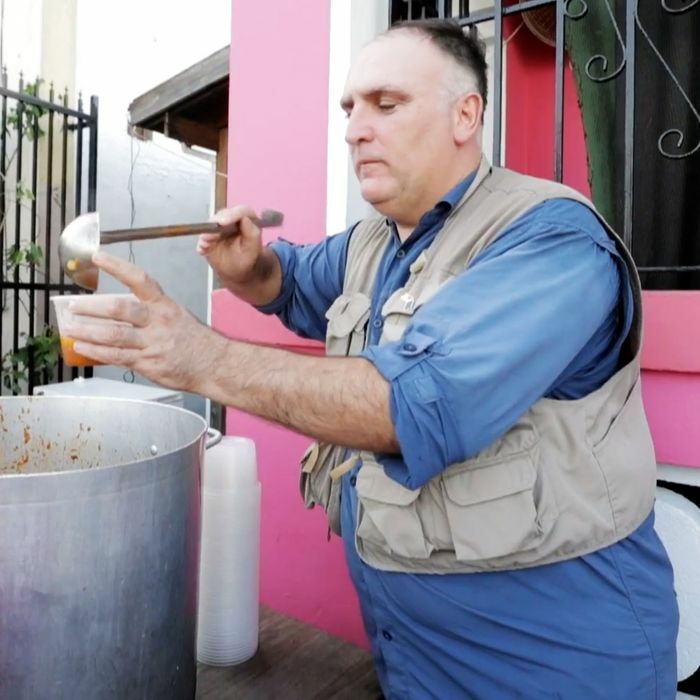 With FEMA and other aid groups working to feed Puerto Ricans, chef José Andrés tells the New York Times today that it’s time to start scaling back his own hunger-relief efforts on the island. The chef has built a network of 18 kitchens that have fed, per the Times, nearly 2 million people, more than any other aid group. Tomorrow will be the final day of operation for his main kitchen, located in San Juan’s biggest stadium. That’s been home base for the past month — a commissary of sorts where 500 volunteers whip up 30,000 sandwiches a day, and cook large vats of paella that, for some island residents, remain the day’s only warm meal. At the most recent count, Andrés’s team had passed the 120,000-meal-a-day mark, and the Times puts a hard figure on the cost of feeding that many people: as high as $400,000 per day. Now, officials say nearly 90 percent of grocery stores have reopened in some capacity, even though about three-quarters of Puerto Ricans are still without power. Andrés’s World Central Kitchen, therefore, will take to “a more strategic approach” that is primarily focused on feeding the sick, the elderly, and people in remote areas. The team will continue delivering supplies, but local chefs, nonprofits, and churches will largely take over day-to-day meal prep.